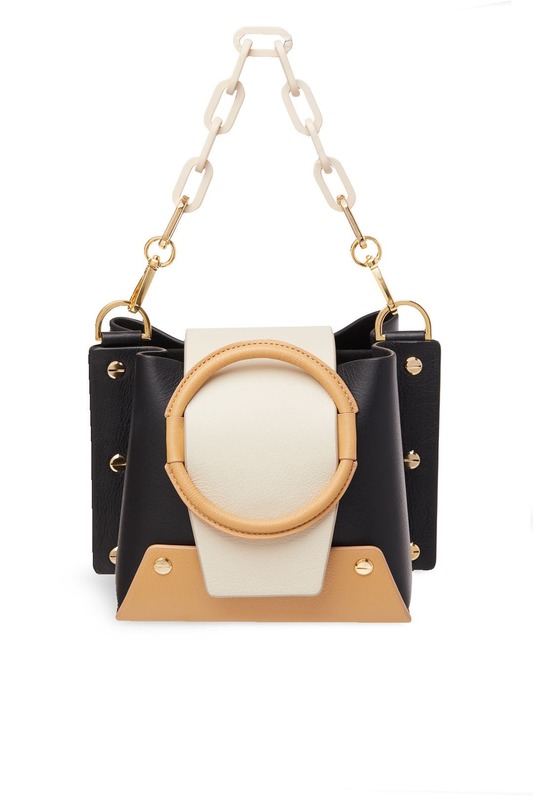 Oversized hardware and bold colorblocking define the modern edge of this mini Yuzefi bucket bag. 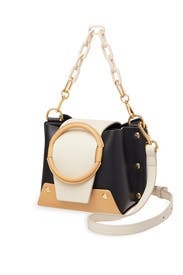 Colorblock leather structured bucket bag with gold-tone chain strap and ring closure. Two interior compartments and interior wall pocket. Adjustable crossbody strap with 21" drop. 5.75"W x 5.25"H x 5"D.